Interestingly Intel seemed to have gotten the message, for in 1985 they released the iPSC, a 16-128 node 286/287 based parallel hypercube system. Later Intel upgraded this to the iPSC/2 which used 386/387 processors and finally a version with the 64 bit i860 RISC processor. In 1989 nCube released a new version of their processor. The nCube/2 was a greatly enhanced processor. Transistor count was now on the order of 500,000 manufactured on a CMOS bi-metal 1 micron process. Clock speeds were 20MHz initially and scaled to 25MHz and 30MHz in later versions. The integer unit was now a full 64-bits and an on-chip MMU was now included along with the DRAM controller and networking support. On chip Instruction and Data caches were also included, but very small to make room for the networking logic (500k transistors was pushing the limits of most 1 micron processes). The instruction cache was 128 bytes and the Data cache was 64 bytes (8 64-bit operands). Networking channels were increased from 22 of the nCube/10 to 28. Two remained for bi-directional I/O while the remaining 26 formed 13 pairs for inter-processor communication. 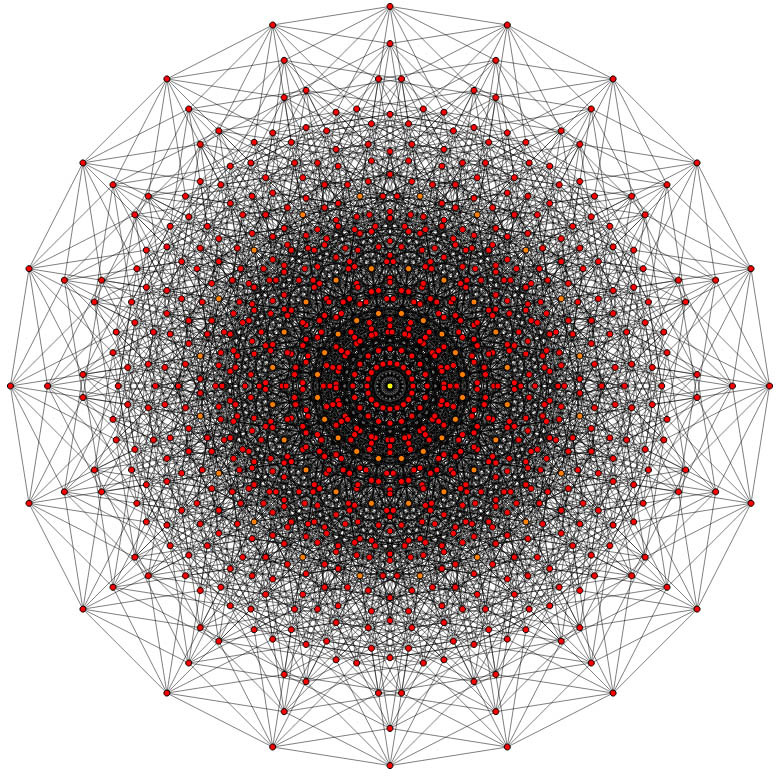 This of course now allowed for a 13-way Hypercube arrangement, supporting a maximum of 8,192 nodes in a system. nCube used such a system called the Series Scalar Supercomputer in 1989 to set records for processing power. A maxed out system supported 512GB of RAM (64MB per node) and 16 Terabytes of disk. Remember this was 1989 when a PC had 4MB of RAM and a 100MB hard drive. A 64 node ‘basic’ system cost around $250,000. Unlike the nCube/10 the nCube/2 now used a Sun workstation to program and manage it. Essentially the nCube system worked as a co-processor being assigned tasks by the host computer and reporting the results when done. Very similar to how a math-co-processor worked at the time, or how most supercomputers continue to work today. In 1990 Larry Ellison (of Oracle fame) invested heavily in nCube and nCube moved to Foster City, CA to be closer to Oracle. Their focus began to shift to database processing and Video On Demand technology. 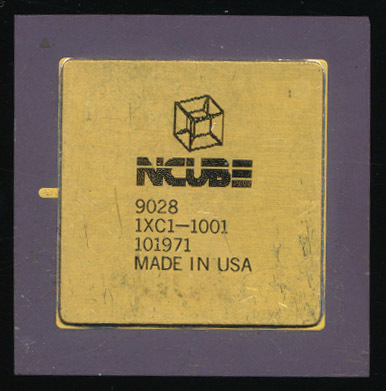 In 1995 the nCube/3 was released, an enhanced nCube/2 with larger caches, faster networking and support for 65,536 (16-way hypercube) nodes. The nCube/3 was the last of the custom nCubes. The later versions (4 and 5) used Intel IA32 Xeon processors, similar to many supercomputers today. In 1996 Larry Ellison took over as CEO with the goal of making nCube the networking division of Oracle. In 2006 nCube was sold to C-COR, which was then bought by ARRIS (makers of cable modems and other cable equipment), thus bringing the end to nCube. At one time nCube commanded almost 10% of the MIMD supercomputer market. A market that at the time was controlled by Thinking Machines and eventually Intel. In the 1980’s there was the Cray X-MP and Y-MP, vector based (SIMD) super computers, and then there was ‘everyone else.’ Cray dis-regraded MIMD supercomputing as ‘hard to program’ and insisted that vector was the best solution. In 1993 Crazy released the T3 series of MIMD supercomputers, and by 2000 NEC and Cray were the only 2 companies left making vector based computers. nCube, the Hypercube, and massively parallel super computing had won, even if by then nCube was merely a footnote. 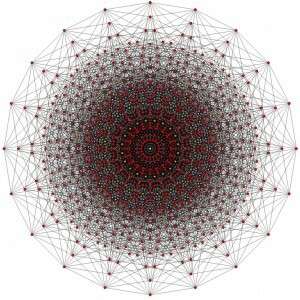 Was this the first Hypercube computer or was CalTech? including the fast Fourier transform; and in 1975, IMS Associates (IMSAI) announced The Hypercube, a 4-dimensional computer based on his ideas.The Hypercube had thirty-two 8-bit microprocessors (Intel 8080As) arranged in a 4-cube with two processors at each node, one for computation and one to handle internode communication. The machine was not commercially successful because its architecture was too advanced for the microprocessor technology available to implement it. This predated CalTechs Cosmic Cube, though CalTech did a lot of work in defining how the communication of a HyperCube worked. I am an old friend and college roommate of Stephen Colley. I have been looking for him for a while now but the last address I have for him, in Morgan Hill, doesn’t seem to be his anymore. My name is Henry Laxen. I would really like to reconnect with him. If you have any idea where he is these days, please let me know.